Is Sunday School, ages 3 to 8th grade all fun and games? No but the stories can be illustrated in lots of interesting and intriguing ways! 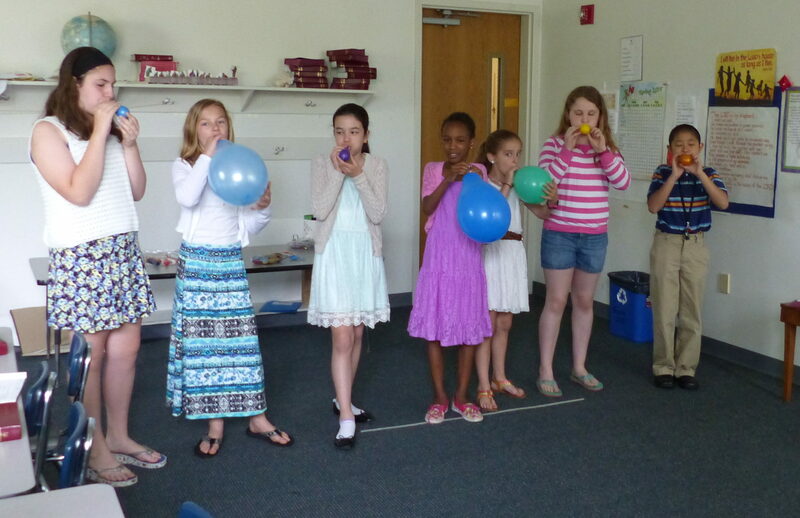 Ask Ava, Caleigh, Zoe, Leanne, Delaney or William about how the Holy Spirit works in their lives… unpredictably, like a just-filled balloon.